on the night for the location! 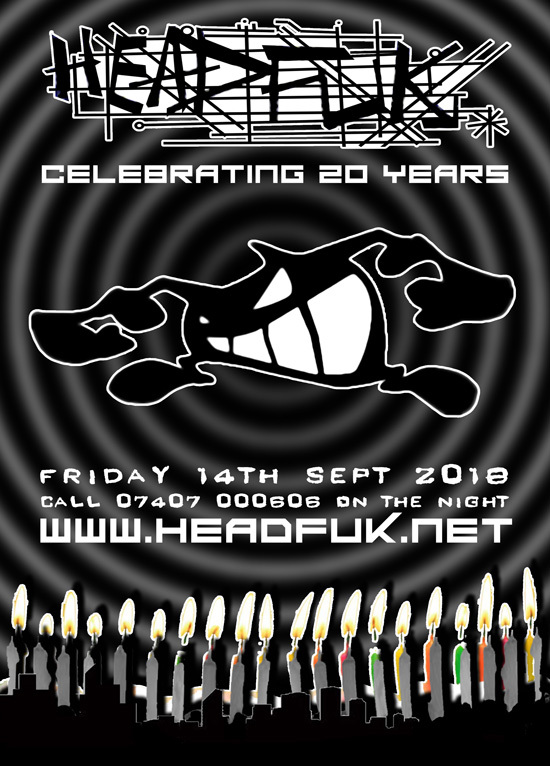 2 rooms of old skool HEADFUK DJs, VJs, artwork and friends. and prepare to rave like it's 1998! The main room is going to be a full-on rave, with lots of the original artists and DJs playing on a top-production setup with eye popping VJ skills. The room 2nd is a mixed bag of experimental/livesets/silliness/rave sounds and in a touch of humour will celebrate all the parties and arties from Headfuk/Random Artists/TAA archive that has happened along the way. We’d love you to bring down any (ideally disposable) pictures and memorabilia to add to this Headfuk Community Memorial Garden! Spread the word, Share the event and Invite your mates!